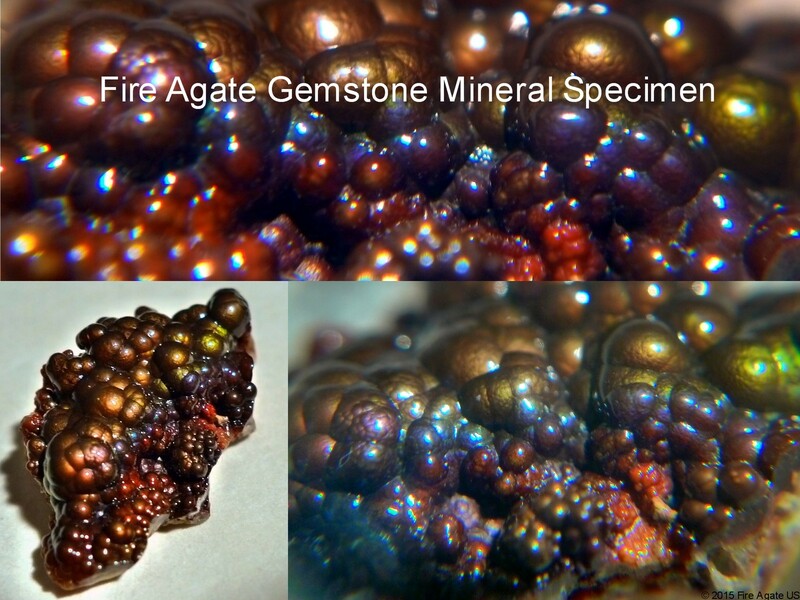 This colorful polished Fire Agate gemstone mineral specimen measures 24 x 14 x 8 mm and weighs 14.2 carats. 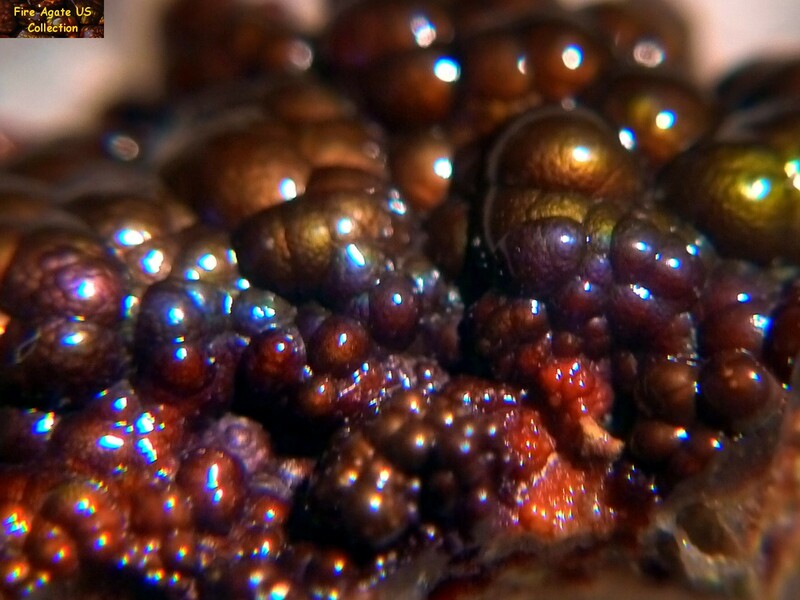 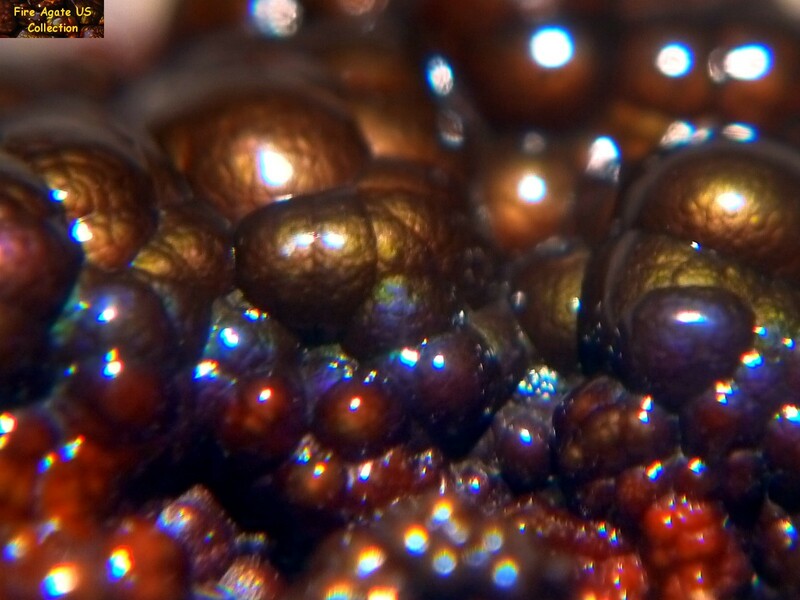 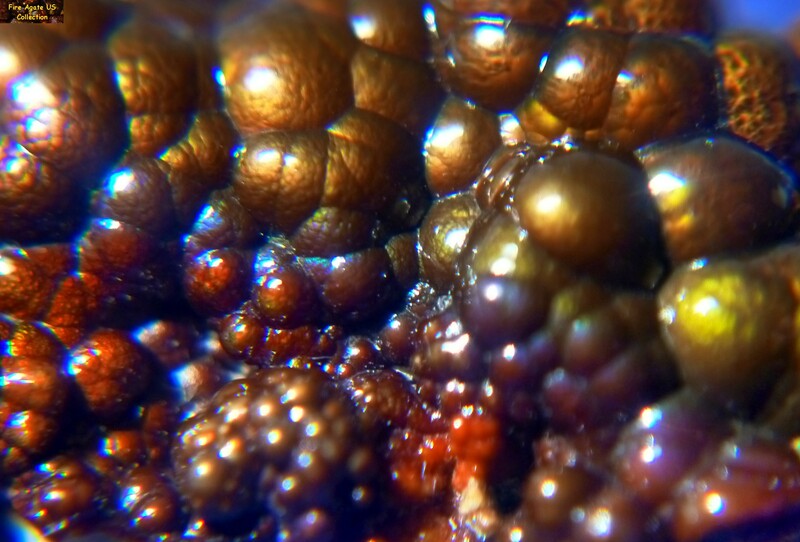 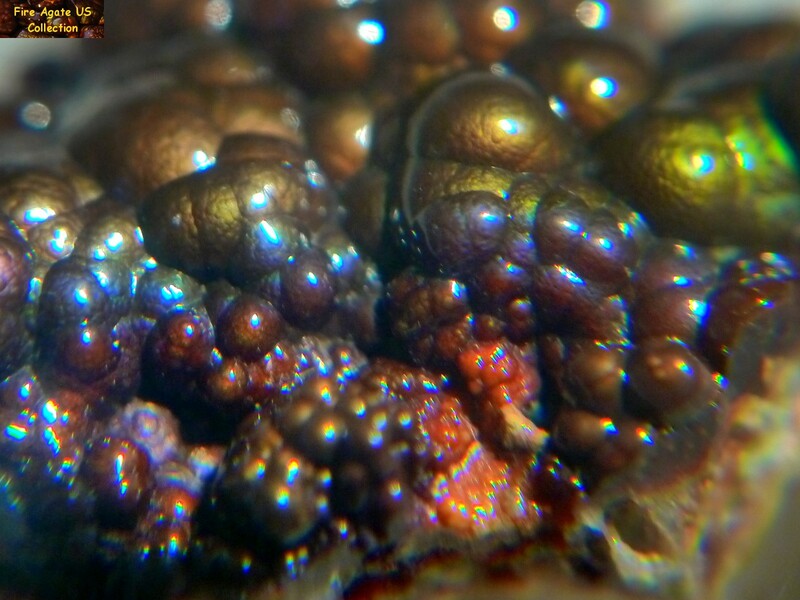 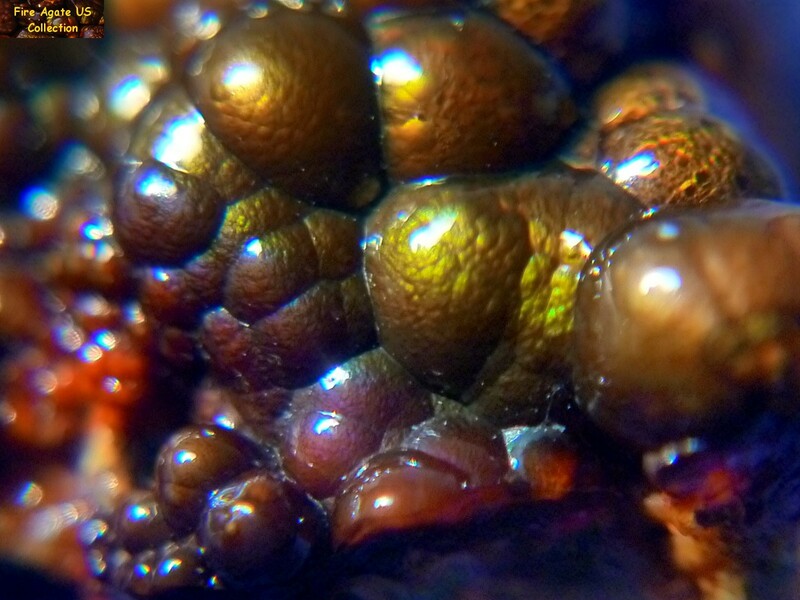 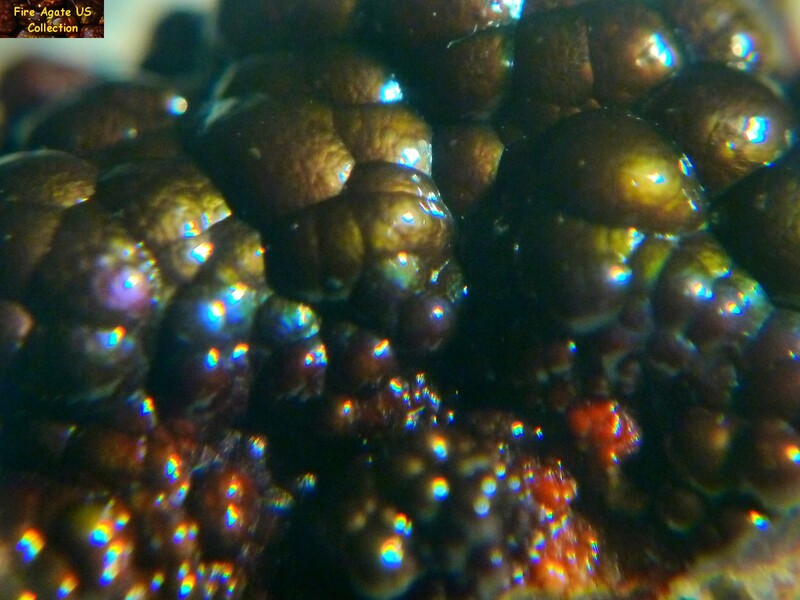 The botryoidal bubble formation displays a series of graduated colors from brown, orange, red, purple and blue. 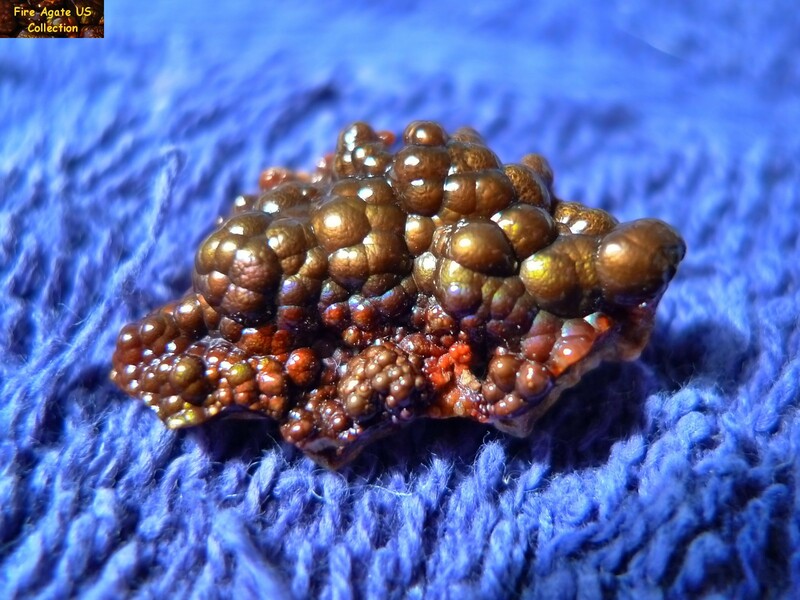 The agate formation is still attached to the host rhyolite matrix. 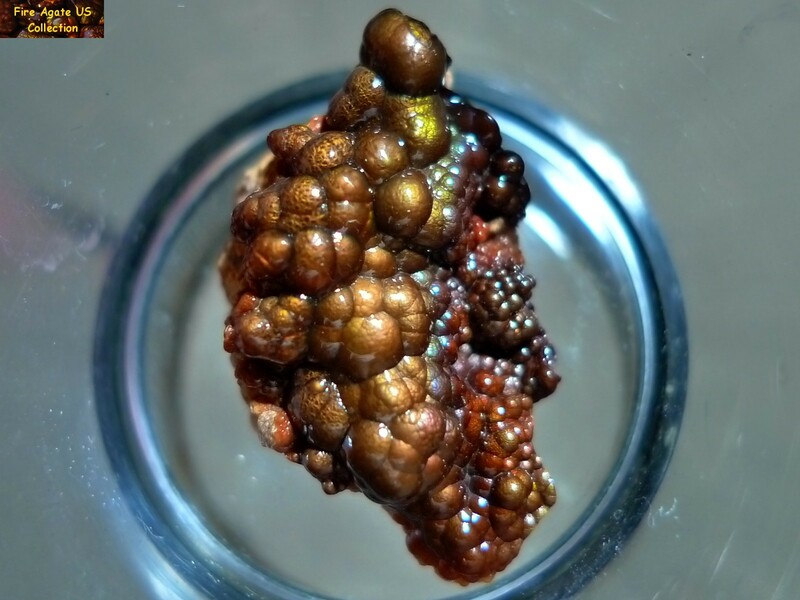 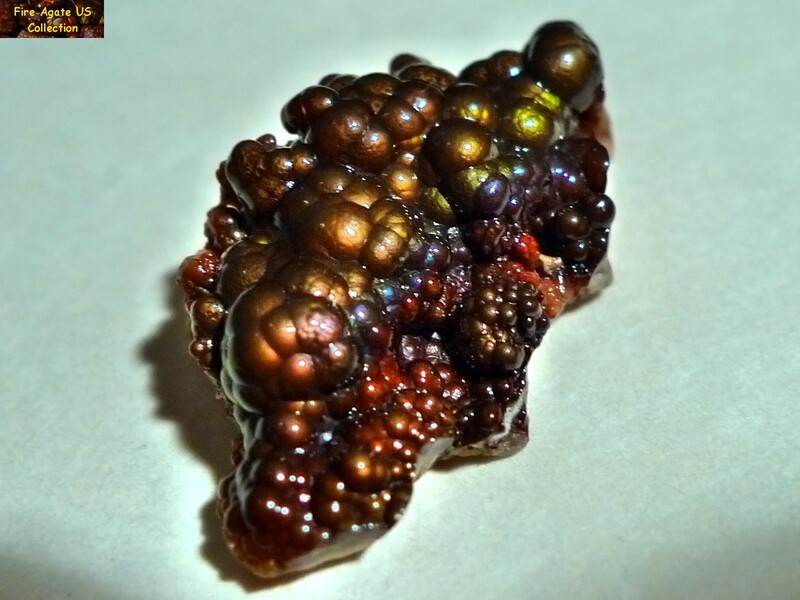 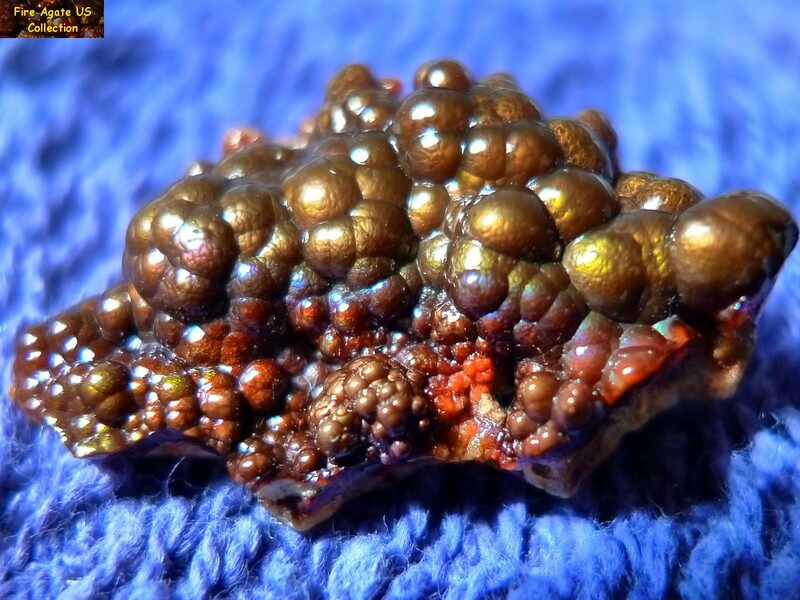 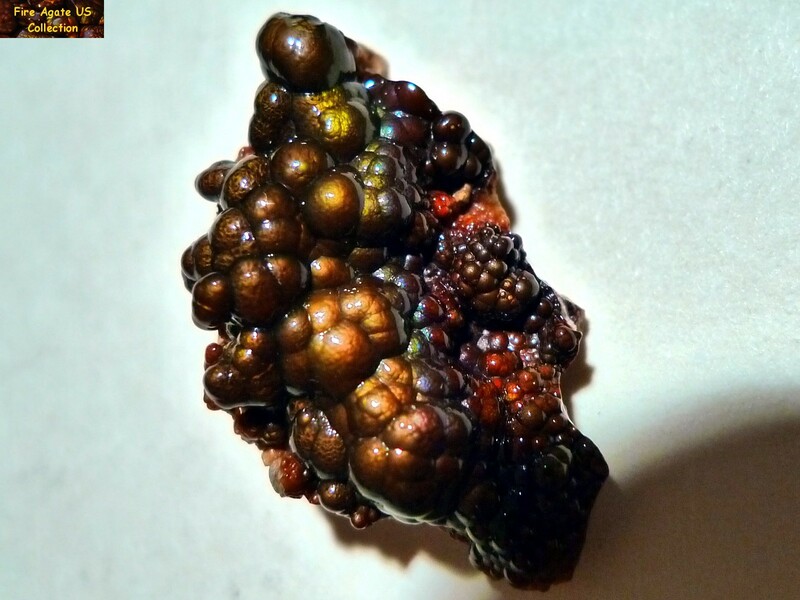 This fire agate specimen originates from Deer Creek, Arizona, known for fire agate gemstones with vivid reds and oranges to intense greens, purples and blues.